The Hive Stadium will host Monday’s football game between Barnet and Brentford, the two teams who compete in different leagues. Barnet sit in 16th position in the National League standings, whilst Brentford occupy 17th place in the Championship ahead of the FA Cup clash. Both teams are nicknamed the Bees and it remains to be seen who is going to buzz better in the Hive Stadium showdown. Brentford are surely a more experienced side than Barnet, which is the main reason why away win should be considered. The Championship side are on a three-game winning run in all competitions, which is yet another reason why we are tempted to put our money on the visitors. 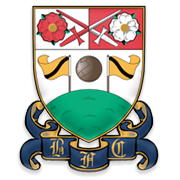 In their last meeting in League One Brentford recorded a hard-fought 1-0 win over Barnet and we believe that the history is going to repeat itself.